It is 27 years since the ambient pioneer and former Talking Heads frontman released their groundbreaking and staggering album My Life In The Bush Of Ghosts but now they are back with a new album. The Quietus investigates. 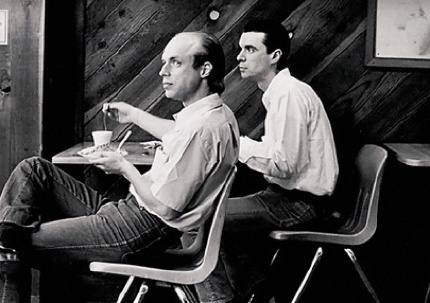 Brian Eno and David Byrne pretty much set the standard for forward looking music in the 1980s and 1990s with My Life In The Bush Of Ghosts in 1981. 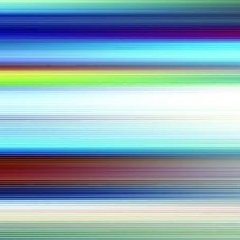 By fusing the newly emergent sampler technology with field recordings, along with a cross pollination of bleeding edge industrial dance and dub to Jon Hassell’s concepts of Fourth World Funk, they came up with a masterpiece. From Public Enemy and the Bomb Squad to Ministry to Peter Gabriel to Aphex Twin and beyond: anyone with any sense sat up and paid attention. They poured over and dissected the album’s magpie ways with the cacophony and babel of world noise. Well the pair have teamed up again to produce a new album Everything That Happens Will Happen Today and for those too impatient to wait the fortnight until it becomes available as a download album, you can visit their website to get the ‘Strange Overtones’ single for free. www.everythingthathappens.com. The pair of countercultural figureheads have decided to follow in the footsteps of The Raconteurs by releasing an album pretty much unannounced, thus combating peer to peer filesharing. They have also followed Radiohead’s example by making the album physically available later on in numerous formats including enhanced CD and a deluxe box set with artwork by Stefan Sagmeister. The pair kept notes while making the album. The following are extracts from those notes. Brian Eno: "This record started life as a dinner conversation: I was in New York, having dinner with David and some other friends, and happened to mention that I had a lot of music which I had intended to make into songs but never succeeded with. David volunteered to give them a try. By and large though, we stuck to our separate territories: I generally did music, he generally did lyrics and vocals. That arrangement seemed to work. "When we started this work, we started to think we were making something like electronic gospel: a music where singing was the central event, but whose sonic landscapes were not the type normally associated with that way of singing. This thought tapped into my long love affair with gospel music which, curiously, was inadvertently initiated by David and the Talking Heads. "The first gospel song I ever really responded to ('Surrender to His Will' by Reverend Maceo Woods and The Christian Tabernacle Choir) was one I heard on a distant Southern American radio station whilst in Compass Point, Nassau - working with Talking Heads on the album More Songs about Buildings and Food. Being with them and becoming aware of their musical interests had opened my ears to some kinds of music I hadn't really been noticing up to that point - including gospel. So it was fitting that the circle was closed on this record. "As a foreigner in New York - which was where I ended up living shortly after More Songs - I was surprised by how little attention Americans paid to their own great indigenous musical invention: gospel. It was even slightly uncool - as though the endorsement of the music entailed endorsing all the religious framework associated with it. To me (thanks to Reverend Woods) gospel was a music of surrender, and the surrendering rather than the worshipping was the part that interested me. This idea has informed my music ever since: I guess it's the reason I use modes and chords which are easy to follow and easy to harmonise with. 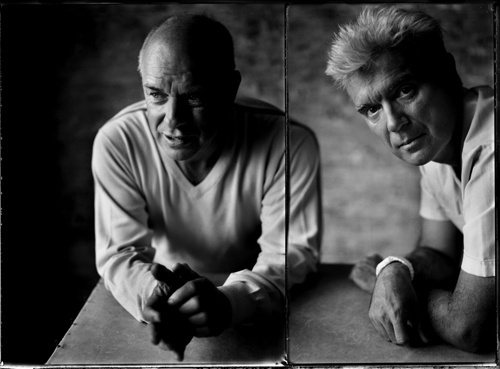 David Byrne: "A couple of years ago I passed through London and, having reconnected with Brian Eno when our Bush of Ghosts CD was re-released. We had dinner one night and then the next afternoon I popped round his office/studio to hear what he'd been up to. Just before we parted I recall Brian mentioning that he had a lot of largely instrumental tracks he'd accumulated and since, in his words, he "hates writing words" I suggested I have a go at writing some words and tunes over a few of them and we see what happens. I put it to him that if he didn't like the result that would be that. "Brian sent me a CD with some instrumental tracks - stereo rough mixes - a bit later and I listened to them on and off, trying to get a sense of what kind of story this music was trying to tell. It wasn't ambient, and I sensed that a song structure might emerge from these very evocative seeds. Emergence is a popular word these days, but it does almost perfectly evoke the way I think musicians and songwriters "allow" what lies latent in a basic musical kernel to grow into something only hinted at in the humble beginnings. Of course, without the vague and fuzzy humble beginnings there would be no final song, so writers and musicians often are quoted as saying they feel only partially responsible for the creation of the plants they've grown and nurtured. "I eventually wrote back to Brian, after living with some of his music for almost a year, and said I got a sort of folk-electronic-gospel feeling from his tracks, and suggested that my lyrics and melodies might reflect that, and did that direction seem OK? "I attacked the first one, which I think was called 'And Suddenly' on Brian's track list. I'd just finished reading Dave Eggers book What is the What?, about Valentine and his hallucinatory and horrific journey as a very young man that took him from his destroyed village in Darfur to Atlanta Georgia and beyond. Valentine's story was harrowing but also beautiful, uplifting (in a non corny way) and at times even funny. I think I might have still been under the influence of his story when I sat down in front of my microphone. The result became 'One Fine Day'. I sang a few harmonies in the choruses to make it sound better and sent it off to Brian. We were both thrilled. Here was the gospel-folk-electronic aspect I at least had heard hints of, come to life - articulated. The words had some Biblical allusions, but nothing too overt. We agreed to continue; for now. In the coming months I did an event at Town Hall about bicycles and invited the Young at Heart choir to participate singing the Queen song 'Bicycle Race' - as an encore we did 'One Fine Day', which had an added resonance when performed by a choir whose average age is around 80. I wrote and recorded some more - 'My Big Nurse' and 'Life Is Long' may have been the next couple I finished writing. It soon became apparent that we were not only happy with the results but we had found our road, and would go down it further. We agreed on a fairly clear division of labour - music Brian, vocals and lyrics Byrne. The harmonic foundations of some of these songs are often like those of traditional folk songs, country songs or gospel before some of those styles got harmonically sophisticated. Brian's chord structures were like nothing I would have chosen by myself, so I was pushed in a new direction, challenged. This, of course, was good- as the challenge wasn't so much technical as emotional- a challenge to write simple but not corny, basic but heartfelt. The results, in many cases, were uplifting, hopeful and positive- even though there were lyrics about cars exploding, war and similarly dark scenarios.